If you would like to learn more abotu freelance writing, take a look at the new Master Dayton blog to learn many great writing lessons first hand. To see where it started, also take a look at the original Master Dayton blogspot blog. Where Can I Get Started as an Online Writer? When you're talking about the online world, it's amazing how much changes over the years. In fact, it can be amazing how much changes in just a few months. While sometimes it seems like I haven't been writing online all that long, truth be told 2005 was quite some time ago. To say a lot has changed over the years when it comes to freelancing online would be an incredible understatement. There's also the old saying: "The more things change, the more they say the same." For the most part, this actually doesn't apply to writing online, but there is one question that remains the same, no matter how much else has changed: beginners want to know where to start out as pure beginning freelance writers. The following list isn't comprehensive, and things can change rapidly as they tend to do online. These are places just to start: remember that you should move on from these sites rapidly once you really get going but for the true beginner getting some experience and some money is better than none. The following 6 sites are in no particular order, but all accept freelancers at some level as of this writing. Textbroker is a good website for pure beginners, although the biggest issue is that this site has fallen a bit from its best days, meaning when you start out as a 3 star writer there aren't always a lot of jobs. There tends to be better work once you get up to a 4 star ranking, and recently there have been a lot of product descriptions that are short, but you can pile up a lot in an hour for a decent rate. There are also a lot of direct teams, which pay varying rates including some decent paying ones. The key is to find the 3 star jobs when they're there and to move up the ranks as quickly as possible. This site isn't always open for new writers, and it definitely qualifies as content mill status since many articles don't even pay quite one cent a word. However the work is extremely plentiful, the writing process for grabbing articles is simple and as you get used to the format and ranking you'll be able to get higher paying jobs that make it worth your time. This is best as a place to go when you have no more query letters to send out or articles to write. It's the constant back up plan where you can pick up writing income but you don't want to make this the center piece of all your freelancing efforts. This is another relatively new site that requires you to pass a writing test before getting access to jobs. You have the ability to choose a large number of topics and sub topics you are a writing expert in and these are the only jobs you'll see available on your board. This matching up of writers to their specialties also means some jobs go for a much higher per word rate than what you're used to finding from other websites. Sometimes the job flow can be a little slow, and you want to make sure to do a great job since clients don't always have to accept the work, but there are definitely some major writing opportunities here for experienced beginners. 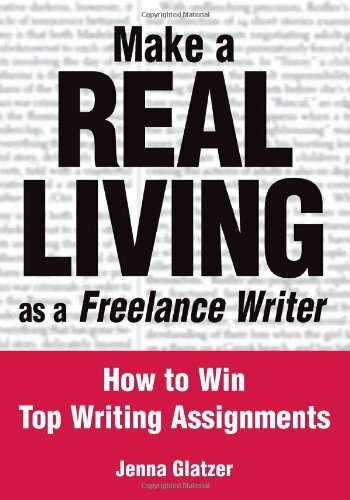 This book on freelance writing focuses mostly on print resources since it was written before online content became so huge but the lessons here are still exceptional, and many high paying print markets are easier than ever to break into because so many people focus in on the online markets. These sites are a little different from the earlier ones mentioned, but they also offer some great opportunities for begnning writers. Constant Content is one of my favorite sites to write for, but it is very different from the others on this list. Here you write articles and name your price for usage, unique, or full rights and CC gets 35%, so price high! The upside is that I've sold many 500 word articles for $40-60 and some 1,000 word list articles for as high as $150. The downside is that you're never guaranteed to sell your article, but the rates are much higher and the editors here are tough: if you can write here you can write anywhere. There was a time that Demand Studios was a popular place for writers, but those days are long gone. While Demand Studios isn't looking for general freelancers anymore they do often hire specialists: so MBAs for business writing, law school grads or paralegals for law writing, fitness experts for health writing, etc. If you have a specialty it might be worth taking a look to see if you can get hired as a specialist writer as many of these articles can go $25 to $50 a pop. Yahoo Voices pays two ways: one up front for articles (although these are usually a pittance of pay) and then by page views. Highly viewed articles can earn up to $2.00 per 1,000 views based on your number of total views, so an article that goes viral or gets traffic month after month can be a good money maker. This isn't along the lines of your normal freelancing, but it gives an opportunity to get a little bit up front and have articles out there that will have the potential to earn you online passive income over the months and even years - and that's not a bad way to get introduced to residual income writing opportunities. Thanks for sharing this. I'm new to writing online and there is so much to learn! I'm definitely going to check out these sites. Good information and thanks for taking the time. http://michaelhyatt.com/ is the former CEO of Thomas Nelson Publishing and also has some really solid tips. Enjoy!